Truthe was born from three insights. The truth is that data-driven technologies that enhance the guest experience will transform marketing forever. Our founder has been the CMO of multi-concept restaurant company and was an early innovator leveraging guest data for marketing outcomes. This background informs an unique perspective and passion to help Marketers- and their Marketing- evolve to the digital and data future. The outsider is the insider’s secret weapon. The truth is that the old marketing playbook just isn’t working any more. Transitioning from business-as-usual to a better way is difficult given the busy-ness of the business and the lack of the right resources. 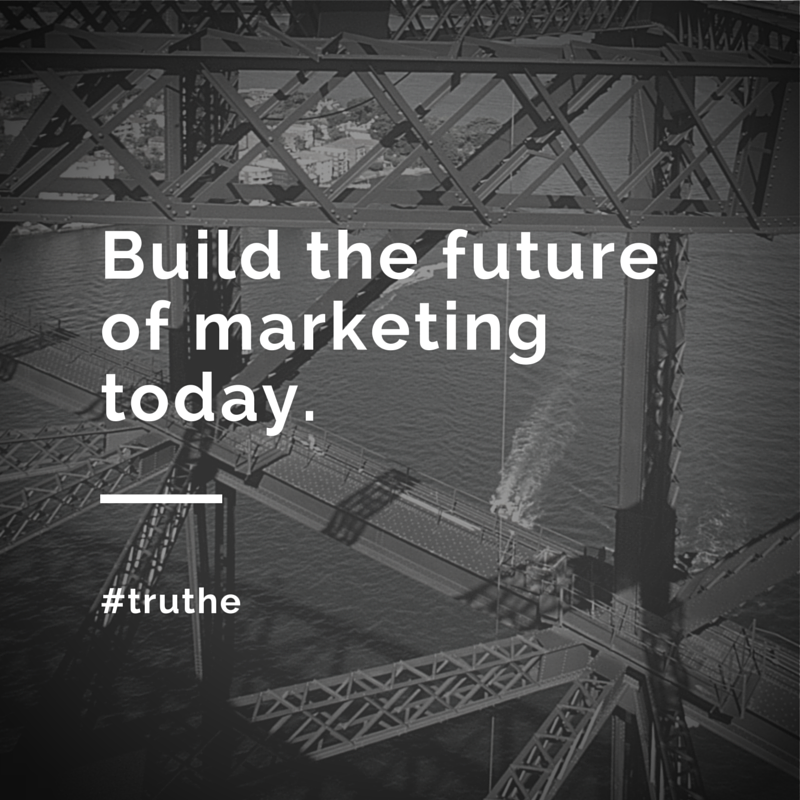 Truthe is the outsider with insider perspective for the c-suite to accelerate the adoption of data-informed marketing. There has never been a better time to be a Marketer, honest. The Science of Marketing is improving. The role and influence of a new breed of data-driven Marketers who “get it” is limitless. However “getting it” can be a full time job as the pace of change is exponential. Truthe gets you in the game and keeps you on top of your game. We speak simply. We share what we know honestly. We help you chart an easy and prescriptive path during this time of tremendous change. The Evolve Strategic Accelerator. Enroll your organization in a strategic planning and learning engagement. We get you started by mapping your brand’s customer journey then help you gain alignment on an enterprise data strategy that is endorsed by the CEO with shared implementation across the c-suite. Connect. Marketing technology, Martech, is changing every day. Truthe matchmaking can connect you to the partner that best meets your need. Our Truth. Learn. Adapt. Evolve. Our passion is Possibility and our mission is to Do Big Things with and for Great People. The truth drives us and our values guide us. We live and work with Integrity, Authenticity, Passion and Purpose. The “e” is silent but important at Truthe. It is our daily reminder to Evolve.